At Cheaha Regional Head Start, our goals of school readiness for your child parellel your own. As a community based non-profit program funded by generous donors, volunteers, and the Office of Head Start we can continuously focus on improvement and quality instead of profit margins. Enrolling in the Cheaha Regional Head Start program means you want your child to be ready for preschool and beyond. We adhere to federal and state standards for preschool education. We encourage the role of parents as their child's first and most important teachers and build relationships with families that support positive parent-child relationships, family well-being, and connections to peers and community. 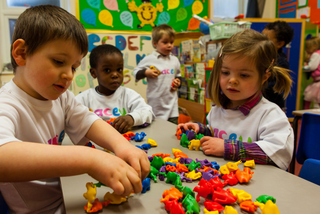 Our Head Start program supports the mental, social, and emotional development of children from age 3 to 5. In addition to education services, we provide children and their families with health, nutrition, social, and other services. 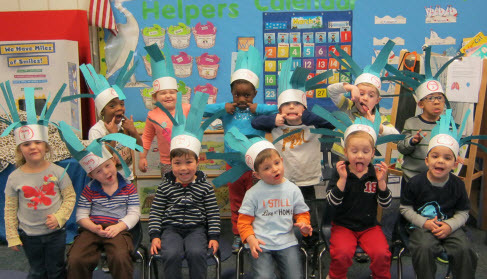 Head Start services are responsive to each child and family's ethnic, cultural, and liguistic heritage. up with the name Chase. Chase has been placed in the Science area for viewing.